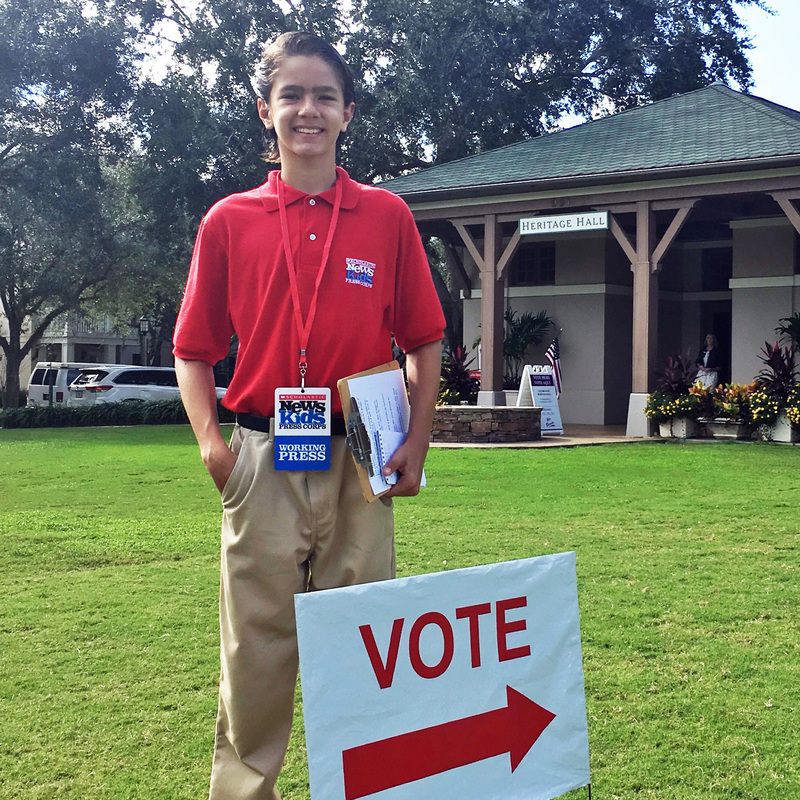 Florida Elects New Leaders | Kid Reporters' Notebook | Scholastic Inc.
Florida civics teacher Kathy Whitmire talks with Andrew about the importance of voting. On January 3, Senators and Congressional leaders from around the country took the oath of office at the United States Capitol building in Washington, D.C. The House of Representatives, which is composed of 435 leaders, welcomed a whopping 101 new faces. The U.S. now has the most diverse group of Congressional representatives in history, including the first Native American woman and the first Muslim women. In the 2018 Midterm Elections, Democrats gained control of the House. On the Senate side, where Republicans kept their majority, 10 new leaders were sworn in. In my home state of Florida, voters sent former Republican Governor Rick Scott to the Senate. He narrowly defeated Democratic incumbent Bill Nelson. Florida is known for its divisive elections, with many contested results and ballot recounts over the years. Even by those standards, the 2018 midterms were unusually bitter. On November 6, I visited a polling place in Celebration, Florida. Red, white, and blue signs advertising the candidates lined the streets. Voters and volunteers were eager to share their opinions. “I did research for several months,” said Karen K., who was wearing a red hat that said “DeSantis.” Karen expressed concern about the economy and taxes. She voted for Republican Ron DeSantis, who won the governor’s race by a thin margin. During the campaign, he vowed to lower taxes. Karen also voted for Scott, who has been blamed for not doing more to protect the environment. In 2018, an unusually toxic “red tide” in southwest Florida killed manatees, dolphins, sea turtles, and thousands of fish, affecting about 145 miles of coastline. Critics said that Scott’s cuts to the water management budget were one reason for the severity of the tide. On Election Day, I also spoke with voters who supported Andrew Gillum, the Democratic candidate for governor. A man named Roger said that he had made phone calls and knocked on doors in support of Gillum. “I think the most important issues are education, the environment, criminal justice, voting rights, and the economy,” Roger said. During the campaign, Gillum said that he would raise corporate taxes to fund teachers’ salaries, early childhood education programs, and vocational training. Andrew gets the views of Tim Weisheyer, a small business owner and president of the Florida School Boards Association. Both the Senate and gubernatorial races were so close that ballots had to be recounted. In the end, Scott defeated Nelson by just over 10,000 votes out of the 8.1 million cast. DeSantis won by a thin slice, too. Voter Tim Weisheyer would also like to see people work together. A small business owner and president of the Florida School Boards Association, he talked about the diversity reflected in the new candidates elected to office around the country. One vote in Florida that united people was Amendment 4, which passed overwhelmingly. The amendment restores the right of convicted felons to vote after they’ve served their time. Florida had been one of only three states that didn’t allow felons to vote for the rest of their lives. Passage of the amendment will increase the state’s potential number of voters by approximately 1.4 million people.